A year ago, the front part of Houston"s George R Brown Convention Center was already in the midst of an expansion. Six weeks ago, it housed thousands of people who were flooded out of their homes. Those of us who come here for the international quilt Festival every year were not quite sure what to expect when we arrived this past week. The convention center came through the floods safely and the new spaces are real wowsers. Circular shapes and the color red are design elements that link the new sections with the building. 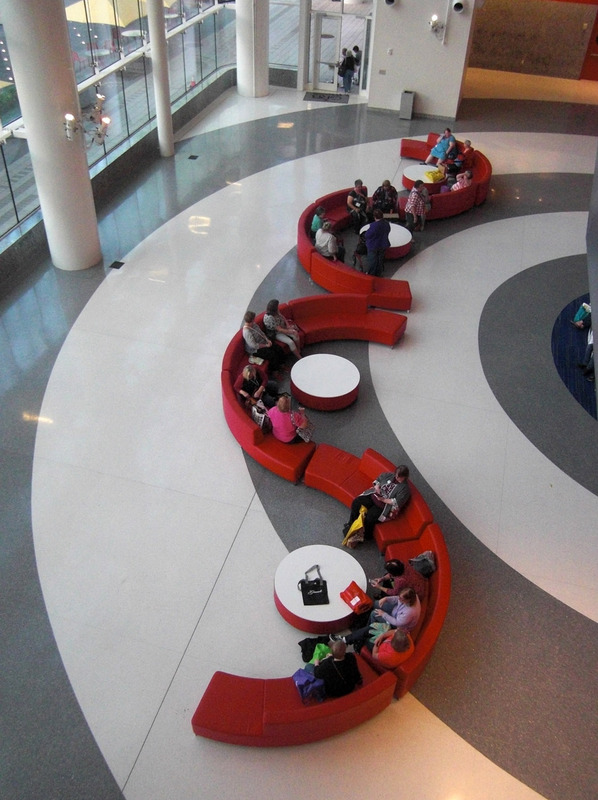 Looking down from the third floor, these curvy couches form an alluring design. The new spaces contain art and lots of light. They have been readily embraced by visitors. Kudos to the architects and designers.